Commonly referred to as Brabant, the province of Noord-Brabant attracts expatriates working in the high-tech industry and boasts a healthy economy. It might not be the obvious place for a day out, but Olivia van den Broek-Neri has plenty of suggestions. Also known as Den Bosch, ‘s-Hertogenbosch is the capital of Brabant and has retained the medieval character that continues to charm visitors. Begin your visit with a boat trip along the Binnendieze and discover the history of the former hunting grounds for Duke Hendrik the First, which received its city rights in 1185. 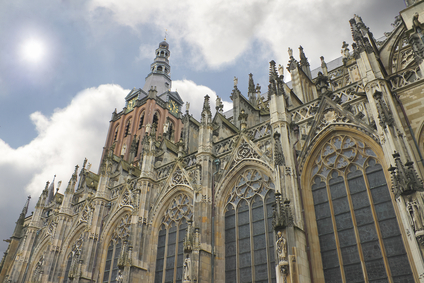 Continue on by visiting Sint-Janskathedraal (St. John’s Cathedral), whose tower reaches 73 metres high. Next, visit the Jheronimus Bosch Art Centre, which honours its most famous resident. 2016 will mark 500 years since the fifteenth century painter’s death, and will be celebrated with a year of festivities. End your visit with a stop at Banketbakkerij Jan de Groot for a bosschebol, a pastry with chocolate and whipped cream that attracts a flock of enthusiasts. Each year, thousands of international students converge upon Eindhoven to study at Eindhoven’s University of Technology and the Design Academy Eindhoven. This mixture of technology and design provides Brabant’s largest city with a young and international flavour that exudes creativity, especially during the autumn months. Begin your day in Eindhoven at the Van Abbemuseum. 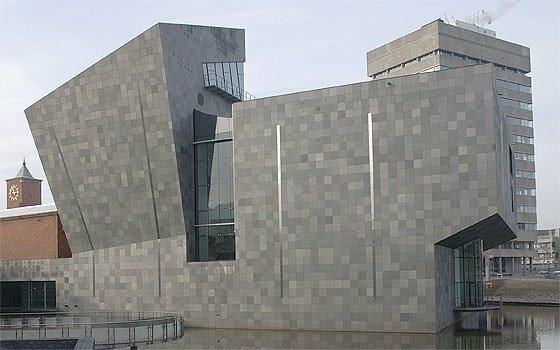 The only museum in the country that focuses solely on modern and contemporary art from the 20th and 21st centuries, the Van Abbemuseum boasts the largest El Lissitzky collection outside Russia, plus masterpieces by Picasso, Chagall, Beuys, Dumas, Appel and Daniëls. End your visit in the Karel 1 Café where you can have a drink and a meal while enjoying a view of the Dommel River. Although Amsterdam has the Van Gogh Museum, people who want to see what made the great artist who he is must visit Brabant! It is where he was born and was inspired to become the artist he is known as today; where he received his first serious drawing lessons, and where he painted his first masterpiece, The Potato Eaters. The Van Gogh Brabant organisation is proud of its connection with the world-famous artist, and continues to educate the public about him and to inspire the next generation of artists. It offers many opportunities to explore Van Gogh country, including bike and walking tours. The Van Gogh locations are spread over the province and allow for a nice way to get to know the province. Brabant is home to Efteling, the largest and most popular amusement park in the country. Efteling resort is comprised of the theme park, the four-star Efteling Hotel, an 18-hole golf course, the Efteling Theatre, and Efteling Bosrijk, a holiday park with bungalows. See wildlife up close at Safari Park Beekse Bergen, the largest wildlife zoo in the Benelux. Go on an African safari and meet the African Big Five without leaving the country! Choose from a bus safari, boat safari or a car safari. The daring can even go on a walking safari. Brabant also has its own desert! 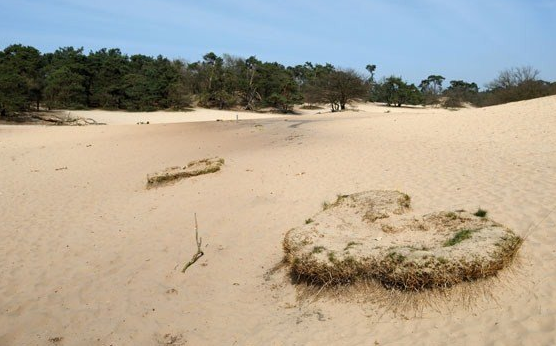 Nicknamed the Brabant Sahara and located in the Loonse en Drunense Duinen National Park, the 30-square kilometres of shifting sands is home to a variety of plants and animals. Go mountain biking, enjoy a picnic or go on a hike. Dogs are also welcome to explore. Olivia van den Broek-Neri is originally from California and has lived in Eindhoven for seven years. She is currently project coordinator for communication & events at Holland Expat Center South.This article appeared first in ACCESS Magazine.